CATARMAN, Northern Samar — The Department of Foreign Affairs is now accepting applications for Foreign Service Officer Examination (FSOE) until December 8, 2017, this was disclosed by North Samar Provincial Director Ms. Pharida Q. Aurelia. 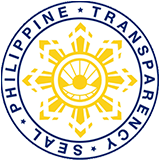 Aurelia said that the qualifying test set on January 8 next year, is the first part of the five-part FSOE administered by DFA to recruit candidates for the Foreign Service Officer, Class IV position. The remaining parts of the FSOE include; Preliminary Interview, Written Test, Psychological Test, and Oral Test. Qualification requirements are the following: he/she must be a Filipino citizen and concurrently permanent residents of the Philippines; at least Bachelor’s degree graduate on the date of filing of application; with at least two-year work experience of further studies or a combination of both after college graduation; knowledgeable on the Philippine economic, political, and social conditions; willing to accept assignment to any foreign service post; has oral and written communications facility; and possesses personality traits need to perform as foreign service officer, she added. Applications should be submitted personally at DFA Regional Consular Office, or Philippine embassies and consulates abroad not later than Dec. 1, 2017; or at the DFA Board of Foreign Service Examinations, Pasay City, not later than December 8, 2017 with an admission fee of P500.00. Further, she added that FSOE’s qualifying test also serves as an eligibility examination titled Career Service Examination for Foreign Service Officer (CSE-FSO). This means that, apart from qualifying to proceed to the next level of examination, passers will also be conferred with the Career Foreign Service Officer Eligibility by the CSC.